What’s the Biggest Pitch Deck Design Don’t? Don’t use bulleted or typed out numbered lists. These lists are great for emails and long form documents but they are terrible for pitch decks. Read more to find out why… or just take our word for it and don’t do it! Why Shouldn’t I Use Bulleted or Numbered Lists? Bullet points are a way to convey a lot of information. And like we said before they are great in a long-form document or for an email with many different paragraphs. A reader reading long-form writing and an audience listening and watching your pitch both absorb information in very different ways. For the reader, the bullets really help break up and group concepts. Lists are great for this. And long-form text usually implies not alot of visual or auditory context along with it. However, for an audience listening to your pitch, bullets tend to drone on and on. Your investors and your audience doesn’t want you reading the slide to them and they don’t get to see the bigger picture in the confines of the lists’ points. With these types of in person investor presentations, you want to tell your story and engage your audience. Think back to your earliest memories of stories and I bet you were never told one in list format. Step 1 Little Red Riding Hood Walks to Grandmas. Step 2 The Wolf Eats Grandma… Although kind of funny, this is not a very effective way to tell the story and doesn’t allow any elaboration of concepts. The shortness of bullets actually hurts the story and leaves alot to the imagination if the imagination even gets a chance to come forward during your point-by-point pitch. You want to give the information so your audience is interested in what you’re saying. Once you have them interested, you can layer in more details that really help to make the story come to life. A list of bullet points are not conducive to that kind of information sharing. Bullet points are not a story. They’re a list of things. So, we don’t want to use them very often if at all. Bucketing information from a sequence might require you to have numbered steps or boxes that form buckets for content. These are good. These buckets help show relationships between characters and elements of your investor pitch. When you are pitching to investors or at pitch competitions, your slides need to be doing a good job of setting you up to have the story flow through your pitch. The visuals are more powerful than lists and the words and details should be coming from you, not from text heavy slides. Or slides with bulleted lists. Another reason we don’t want to use bullet points (especially in live presentations) is that we have this beautifully crafted visual aid behind us. This shows the audience what we’re talking about and supports us as we present. We don’t want to have too much information because we want them to pay attention to us…because our company and its story matters. We’re having a conversation with the audience. As the presenter, you want investors to have an emotional connection to you and the story you are telling them. And even if it is one-sided, it’s much like your are having a conversation with them. Lists don’t create this dynamic. They instead create a dynamic of being told something or lectured. You probably saw alot of lists in your college lectures. That’s pretty much where they belong, but even there they are probably ineffective. Story will be more memorable especially when it feels like a conversation. Your audience is going to feel more invested and engaged. If you have a ton of information on a slide or visual aid, it’s going to be really distracting to your audience. Anything that’s distracting is a possible deal killer. If they can’t get engaged in what you’re saying, why would they invest in it? Another reason bullet points don’t work is that when we’re presenting in person, we tend to use them as a crutch. This is especially true when we haven’t practiced our pitch enough. Or if we are stricken with a sudden case of stage fright. We use bullets as a way to remember – memorized points. You know what we were “supposed” to say.  Memorization of any pitch is a big problem and disconnects you from your audience as you connect with your mind to pull out your pitch. Story and practice together can make you able to adapt, connect on an emotional level, and show what you are made of. Bullets do the opposite and create a cold relationship with you and your audience. Instead of having bullet points on a slide as a crutch, we want you to practice, practice, practice. We say this alot, but it’s so important to take the time to do this. You almost cannot have too much practice. We want you to practice so much that you remember the things you need to say because they are part of the story. You wouldn’t leave Red out or Grandma right? That’s not how the story goes and you know it. It has nothing to do with memorization or repeating anything you’ve drilled into yourself. By doing this properly you may say not the exact words in the exact order – but you remember what you need to say and the key elements of the story. You’ll be able to adapt that story to your audience much easier. Even if you lose your pitch deck on the day of the pitch, you’ll be setup for success because you are connected with your story. And knowing your story helps your business beyond the pitch and beyond fundraising. Knowing your story will help you in everything you do from a marketing and customer messaging point of view. It will start to become how you talk about your company, your mission, your product and how much of a game changer it is for the customers it touches. This is all very powerful stuff. So don’t use lists and bullets. You’ll hurt your pitch, but more than that you’ll lose the chance to really connect with your investors and customers on a deeper, more meaningful level. So there you have it – our biggest investor pitch “don’t” is definitely using bullet points. Do not use bullet points and avoid them at all costs unless you are writing something. And even then, see if you can find another way or know the tendency to lose your story through using them. Thanks for joining us. If you have any ideas on your biggest “don’t” when it comes to pitch deck design, go ahead and put it in the comments below. And if you have any ideas for upcoming pitch hacks, we would love to hear about them as well.